Indira Ekadasi is observed during the waning phase of moon in the month of September/October. The Indira Ekadasi Vrat Katha is mentioned in the Brahmavaivarta Purana. 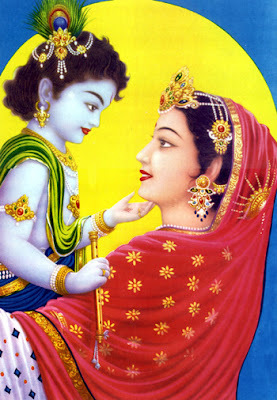 The story of this Ekadashi fasting was narrated to Yudhishtira by Lord Krishna. This Ekadasi falls during the Pitru Paksha Shradh period and therefore observing it is considered apt for redemption of sins of one’s own and that of forefathers. Once there lived a powerful, honest and popular king named Indrasena. He was an ardent devotee of Lord Vishnu. Once Sage Narada visited King Indrasena and mentioned about his visit to the abode of Lord Yama, the Hindu God of death. At the abode of Lord Yama, Sage Narada found the father of King Indrasena. He had not got moksha and was living in the house of Yamraj. The father of Indrasena asked Sage Narada to ask his son to observe Indira Ekadasi so that he will escape from the house of Yama and attain Moksha and reach the feet of Lord Vishnu. Indrasena immediately agreed to observe Indira Ekadasi for his father and asked Sage Narada to guide him in observing the Ekadasi fasting. Sage Narada explained to the King on how to observe Indira Ekadasi. The day before Ekadasi one should perform Shradh rites and rituals for dead ancestors and parents. On the day one should only take a single meal. 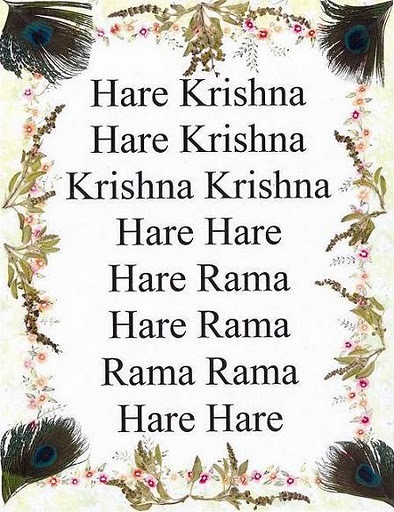 On the Ekadasi day it is a complete fast. At noon, one should pray for the wellbeing of the ancestors and for their souls to rest in peace. Devotees do not sleep during the night and stay awake by chanting prayers or listening to stories of Lord Vishnu. The next day after morning prayers, the fast is broken by eating with family members. As a result of observing Indira Ekadasi, father of King Indrasena got Moksha and reached the abode of Lord Vishnu. Indira Ekadashi occurs during the waning phase of moon in the month of Ashwin (September – October) in traditional North Indian calendar. 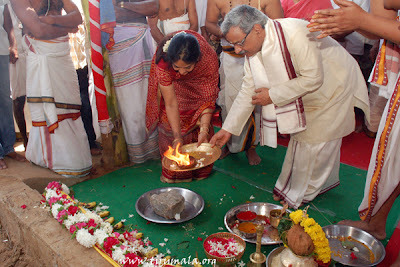 In 2011, Indira Ekadasi is on September 23. 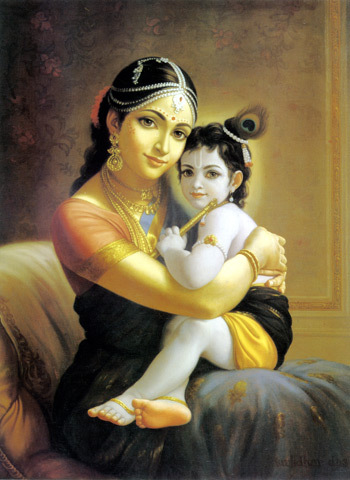 The importance of Indira Ekadasi is described in the Brahmavaivarta Purana and was described by Lord Krishna to Yudhisthira. It is believed that observing this Ekadasi will help in removing the sins committed by oneself and one’s forefathers. The Ekadasi falls during the Pitru Paksh Shradh period in North India. Ekadashi fasting is dedicated to Lord Vishnu. Legend has it that King Indrasena on Narada Muni’s advice observed Indira Ekadasi and saved his father from the remorse of sins committed during earthly life. Indira Ekadasi falls during the Pitru Paksh Shradh period in North India. Prayers and rituals are performed in the name of forefathers and dead relatives on the day before Indira Ekadasi. A single meal is only eaten on the day before Ekadashi. A complete fast is observed on the Indira Ekadashi day by staunch devotees. In the afternoon on the Ekadasi day, some people perform rituals dedicated to the dead. The Parsava Parivartini Ekadasi observed during the waxing phase of moon in Bhadra month is associated with incarnation of Lord Vamana of Lord Vishnu and also with sleep of Vishnu during Chatur Mas period. Parivartini Ekadasi Vrat Katha (Story) extols the glory of the legendary King Bali. King Bali was popular on earth for his honesty, compassion, justice and there was all-round prosperity in his kingdom. He made the utopia a reality. Although born into a family of Demons, King Bali was an ardent devotee of Lord Vishnu. His glory and power made Indra (the lord of Demi Gods) weak. Soon King Bali overthrew Indra and took over the heavenly kingdom. Indra took refuge at the feet of Lord Vishnu. 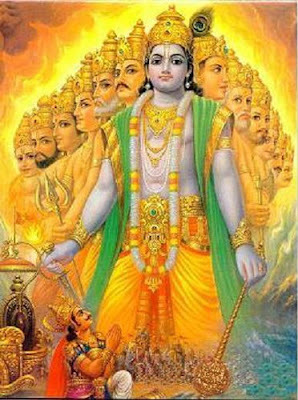 Lord Vishnu took the form of Vamana – a dwarf Brahmin and went to thepalace of King Bali who was conducting a huge Yajna. King Bali was distributing gifts to all gathered there and the young Vamana asked for three steps of land. King Bali thought that three steps of land was too little and asked the young Brahman to ask for something more. But Vamana was adamant and he wanted only three steps of land. King Bali agreed and asked him to take three steps of land wherever he wanted. 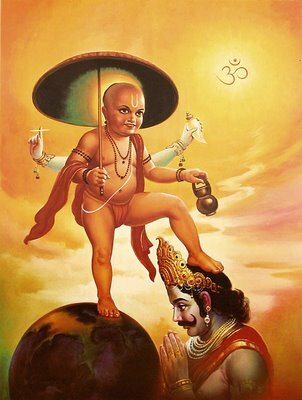 Suddenly, Lord Vamana grew in gigantic proportions and those stood there could no longer see the face of Vamana Deva. 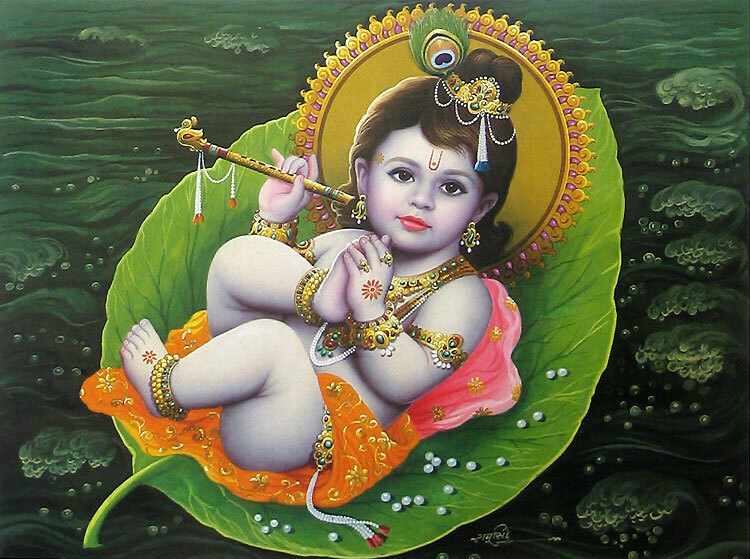 In one step, Lord Vamana measured the heaven and in another step earth and there was no place to keep the third step. 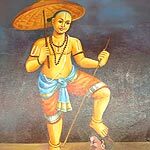 King Bali readily bowed his head and asked Lord Vamana to place the third step on this head. King Bali was thus pushed to the netherworld. Satisfied with King Bali’s devotion, Lord Vishnu blessed him that he will live constantly with King Bali. The popular belief is that Lord Vishnu in the form of Vamana lives in the abode of King Bali. Parsava Parivartini Ekadasi is one among the numerous names of the Ekadashi fasting observed on the 11th day of the Shukla Paksha (waxing phase of moon) in Bhadrapad month (August – September). 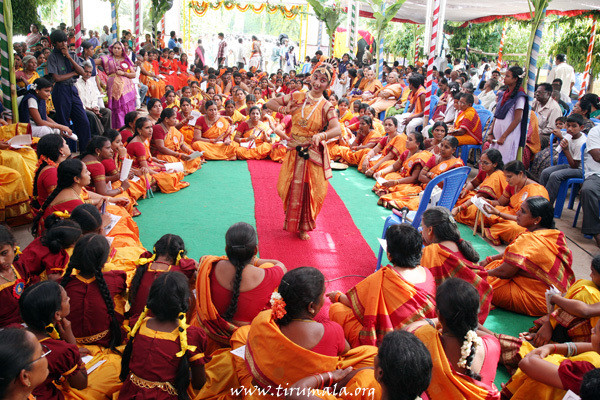 Parsava Parivartini Ekadasi 2011 date is September 8. It is called Parsava Parivartini because Lord Vishnu who is sleeping during the Dakshinayana period turns from left side to right side. This Ekadasi is also known as Jayanti Ekadashi. Bhadrapad or Bhadra month falls during the Dakshinayana Punyakala and is also the second month in during the Chatur Mas period. Popular belief is that the period of Dakshinayana is the night time of Gods. 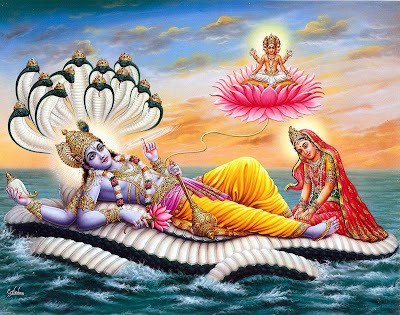 Lord Vishnu is believed to be sleeping during the period. 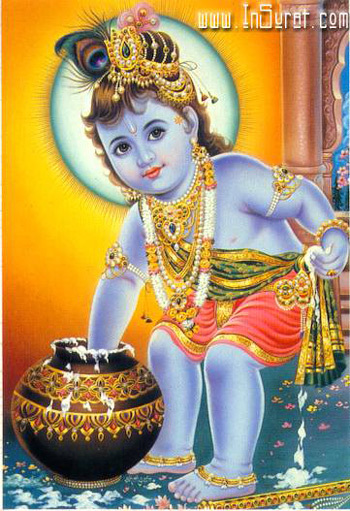 Sri Krishna Janmashtami, also known as Sri Krishna Jayanti, Gokulashtami and Krishnashtami,was celebrated with all religious fervor and devotion in the TTD. 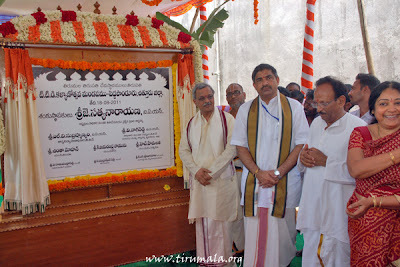 Sri L.V.Subramanyam,I.A.S, Executive Officer TTDs performed "GO-POOJA" in connection with Gokulastami in the premises of TTDs S.V.GoSamprakshana Shala, Tirupati on Monday morning.Director S.V.GoSamrakshana Shala Dr.K.Haranath Reddy and devotees took part. Speaking on the occasion Sri Subramanyam said that Lord SriKrishna is today one of the most widely revered and most popular of all Hindu Gods who was worshipped as the eighth incarnation or avatar of Lord Vishnu. 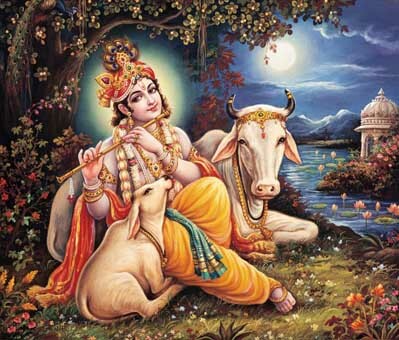 He said the cow was worshipped for its multi farious social relevance on the occasion of Srikrishna Janmasthami. 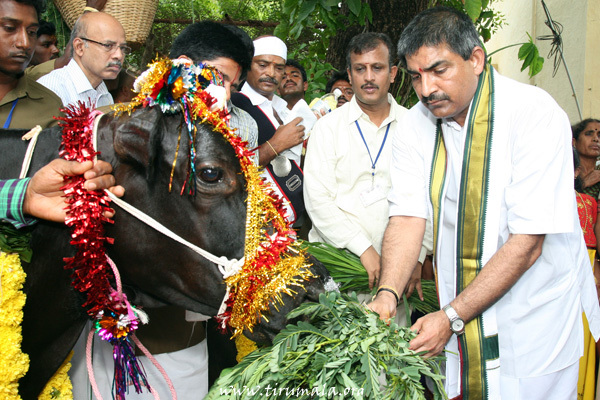 “We all should promote cow rearing and worship as a basic tenet of righteous living and also practice of co-existence of man and animals “, he added. The TTD managed a massive go-shala in Tirumala with over 1050 animals whose produce was used in holy rituals and other activities at Srivari Tenmple and other locations. Sri J.Sathyanarayana, Chairman, Specified Authority TTD todays laid Foundation stone for construction of Kalyana Mandapam at Peddapanduru Village, Varadayapalem Mandal in Chittoor Dist. This Kalyanotsava Mandapam built at a cost of Rs. 20 Lakhs will be a great asset to the village for conduction of community programs like Weddings, felicitations and other religious and dharmic activities. Speaking on the ocassion Sri Satyanarayana said the TTD had taken up the program of building Kalyana Mandapams as part of its campaign to propagate Sanatana Hindu dharma and also provide succor to the Bhajan and other religious activities. Sri L.V.Subramanyam, Executive Officer, Sri Ramachandra Reddy, Supdt Engineer and others were present on the ocassion. To rejuvinate our Culture, rebuild our Nation and revolutionize the World, revival of Sanskrit is the need of hour, strongly opinioned, Sri LV Subramanyam, the TTD Executive Officer. Addressing the valedictory function of the 10-day Spoken Sanskrit workshop organised by Sanskrita Bharati in TTD-run Dharmagiri Vedapathasala at Tirumala on Wednesday he said the entire vedic studies are scripted in this divine, classical language of Hinduism, which is often considered to be the oldest and the most systematic language in the world. He complimented Chilkur Balaji Temple's Dr.MV Sounder Rajan and also the organiser and President of Sanskrita Bharati Purvandhra Wing Sri Dorbala Prabhakara Sharma for their initiative in conducting ten-day workshop in spoken sanskrit. The EO also said, TTD will henceforth organise such workshops for every six months to inculcate the habit of spoken sanskrit among the Vedic students. He appreciated the students who performed stage acts in Sanskrit on various social subjects like Farming, Law and Order, Jewelry-vegetable-cloth business etc. He called upon the students to learn the language with dedication to bring back past glory to the "Mother of Languages". He said, Sanskrit is built on a basis of Vedic and the Prakrits, but has a much more complex grammar. It has an immense vocabulary and a very adaptable grammar , so that words can be grouped together to express any nuance of an idea. 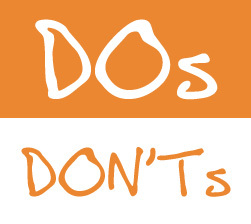 "One can easily learn English but should totally involve oneself to learn Sanskrit. The long philosophical and grammatical tradition that has continued to exist with undiminished vigor until the present century is the beauty of the divine language. To continue its legacy to future generations every child studying in TTD run vedic institutions should master in spoken language which will be helpful not only for them but also for the future of the country", he maintained. The meeting was also attended by Higher Vedic Studies project officer, Sri Sriramamurthy, Vedapathasala Principal Sri Avadhani, renowned sanskrit scholars Sri Tirumalacharya, Sri Kripalu, Sri Narasimhcharya, Sri Subramanya Sharma, staff and students. On the Second day of Ongoing Three day Annual Pavithrotsavam , Pavithras, the garlands made from special thread are taken in a procession and used to decorate Lord Malayappa swami and his consorts in Sri Vari Temple, Tirumala on Wednesday morning. Earlier the Temple Priests performed Snapana Tirumanajanam (Celestial Bath) to the processional deity of Lord Malayappaswamy and His consorts at Sampangi Prakaram inside Sri Vari Temple. The celestial ritual of Narayanagiri Chatrasthapanotsavam has been performed with religious fervour at Tirumala on Wednesday. According to temple legend Narayanagiri happens to be the highest peak in the Seshachalam ranges and it is believed that Lord Venkateswara first stepped his feet on this holy hill. Even after several centuries "Srivari Padalu", (holy feet of Lord Venkateshwara) will be clearly seen on this gigantic peak. To appease the wind god Lord Varuna, it being the highest peak, TTD has been performing this Chatrasthapanotsavam since several decades where in a holy umbrella will be kept near the Srivari Padalu. 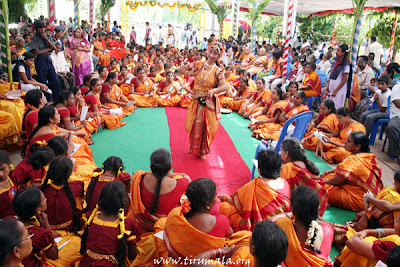 The temple priests performed special pujas and later offered prasadams to the devotees. TTD Specified Authority Chiarman Sri J.Sathyanarayana, TTD EO Sri LV Subramanyam, Joint EO Sri KS Srinivasa Raju, CVSO Sri MK Singh, Temple Deputy EO Sri Muni Rathnam Reddy, Peishkar Sri Chandrasekhar Pillai, Parupattedar Sri Keshava Raju and others were also present. The TTD EO Sri LV Subramanyam hinted out at the introduction tastier menu at new Annadanam complex in Tirumala for the pilgrims before the commencement of annual brahmotsavams this year. He made this announcement while attending the calls of pilgrims in the monthly "Dial You EO" programme held at Annamaiah Bhavan in Tirumala on Friday. Answering to the suggestion of a pilgrim Suresh Babu from Hyderabad to look in to the issue of changing the menu being served at Annadanam complex the EO said, TTD is already on the job and the pilgrims will enjoy the new delicacies before Brahmotsavams. Reacting to the complaint raised by the caller Manjula from Chikbalapur the EO directed the health department officials to instruct the hotliers along the foot path route to maintain hyiegene and cleanliness in their premises. 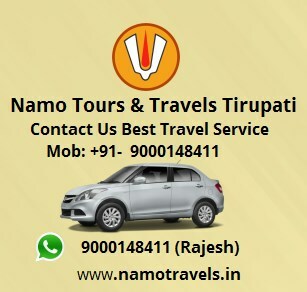 Answering callers Narendra from Vijayawada, Seshadri from Hyderabad, Murti from Konduru he said TTD is continuously exploring ways and means to provide a hassle free darshan in the temple. "We are sketching out a new hassle-free darshan plan with which we can minimise the push and pull by the scouts", EO assured. Reacting to the callers Sudhir from Bangalore and Madhavi from Hyderabad the EO said, steps will be taken immediately to streamline the security check at Srivari Mettu foot path route. 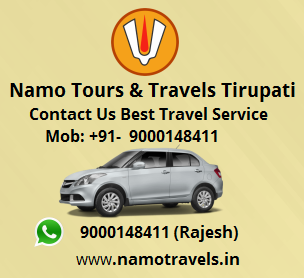 Answering the query of Ramakrishna a caller from Visakhapatnam the EO said, the TTD management will definitely look in to arranging a separate queue line for on line and advanced reservation pilgrims at Srinivasam Complex in Tirupati. Welcoming the suggestion of Suresh Kumar from Hyderabad the EO said, so far there is no provision for cancellation of online tickets. But we will definitely look in to the suggestion", he added. Earlier before the commencement of the programme, the EO addressing pilgrims said, TTD has successfully implemented current booking of arjitha seva tickets through electroninc lottery dip system. He also appealed the pilgrims to co-operate with TTD while security check is underway at Alipiri toll gate. He said the Srimad Bhagatham copies penned by great poet Bammera Potha are ready for sales. As a measure to control increasing pollution in Tirumala, TTD will hence forth strictly observe traffic regulations in the Lord's abode, said EO. The issuance of much awaited arjitha seva tickets for common pilgrims like Thomala, Archana, Abhishekam and Vastram tickets under current booking commenced on August 1 evening in the presence of TTD Tirumala Joint EO Sri KS Srinivasa Raju. Speaking on the occasion, the JEO complimented the winners of the thomala and archana seva tickets and at the same time urged the pilgrims who did not win the tickets not to get disappointed or dejected. He said TTD will continue this new dip system of issuing arjitha seva tickets for about a month and will continue after seeing the response from the pilgrims. "In future we are contemplating to use the same mechanism even to allot seva duties to Srivari Sevaks", he added. Adding further he said from Tuesday (August 2) onwards, the pilgrims can enroll their names from 11am to 5pm. "At 5.01pm, in the presence of either temple Dy.E.O or Arjitham AEO the dip process will be carried out. The pilgrims (winners) can take the tickets till 8.00pm and after that their opportunity is said to be forfeited", he added. Meanwhile on Monday evening over 231 pilgrims enrolled their names for available 14 thomala and 10 archana tickets at the current booking counter between 6.00pm to 6.30pm at Vijaya Bank near Central Reception Office(CRO) in Tirumala. For thomala dip.no.157-Mr.Devaraj and for Archana dip no.117-Smt.Ganga won the first tickets.